SCOTLAND: Greenpeace Trolls Trump At Golf Resort - Joe.My.God. 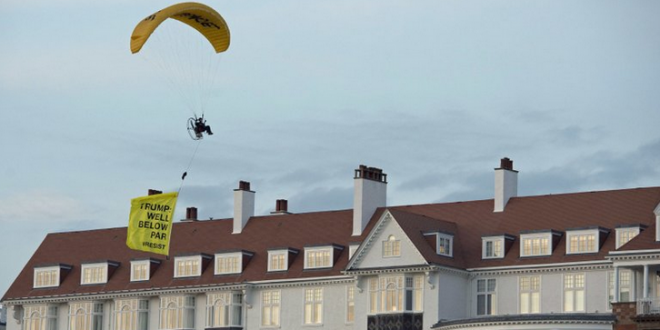 Scottish police say they are trying to trace a paraglider who flew a Greenpeace protest banner over the golf resort that President Donald Trump is staying at. Detective Inspector Stephen McCulloch said the protester breached a no-fly zone over Turnberry hotel and committed a criminal offence.